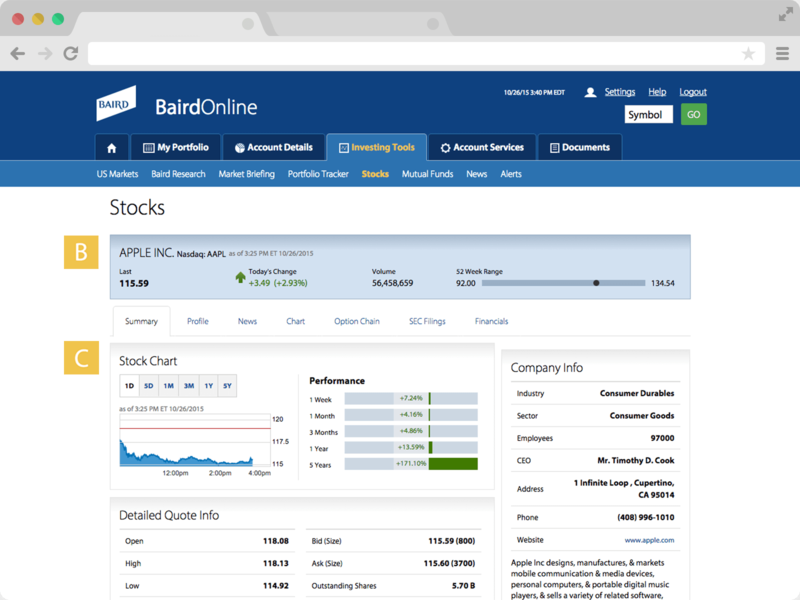 The Investing Tools section gives clients access to Baird Research, US Market Research and News, Portfolio Tracker, as well as the ability to create custom holdings price and volume alerts. 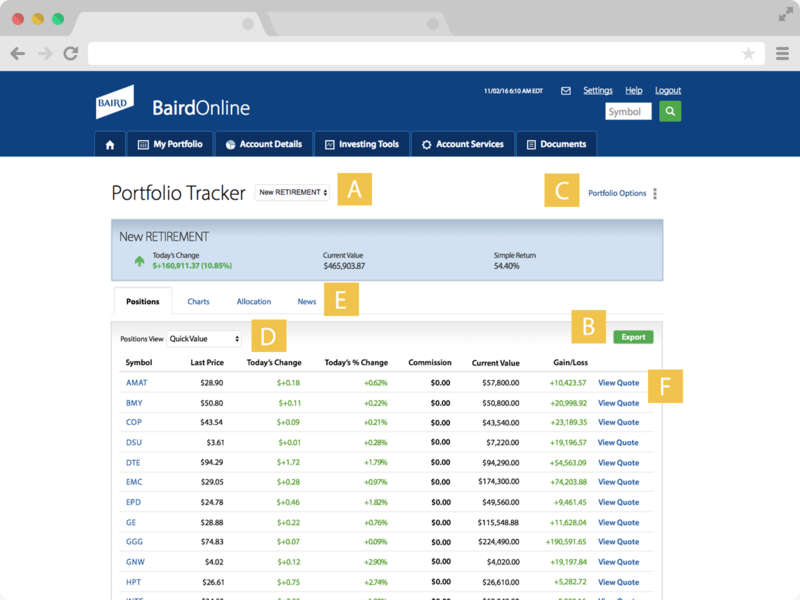 Close-up of Investing Tools sub-navigation. | Click image to enlarge. 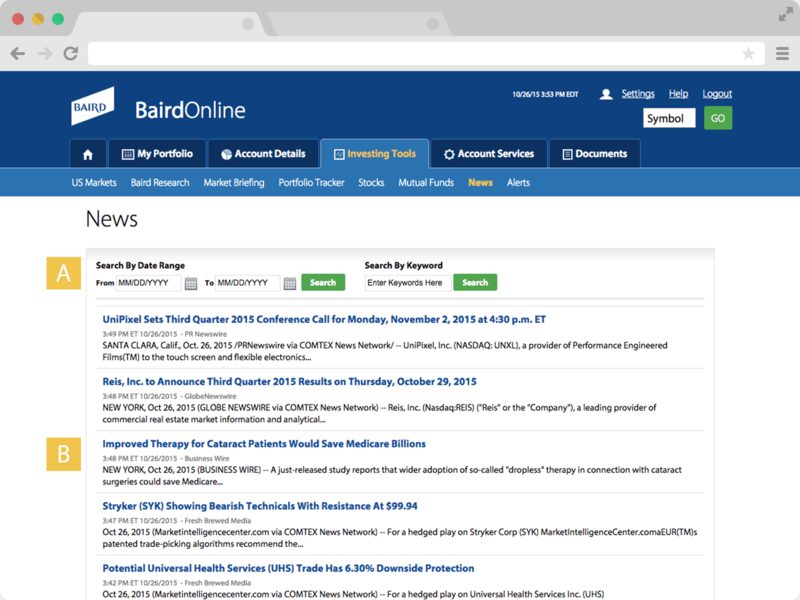 Access cutting edge market information and news. 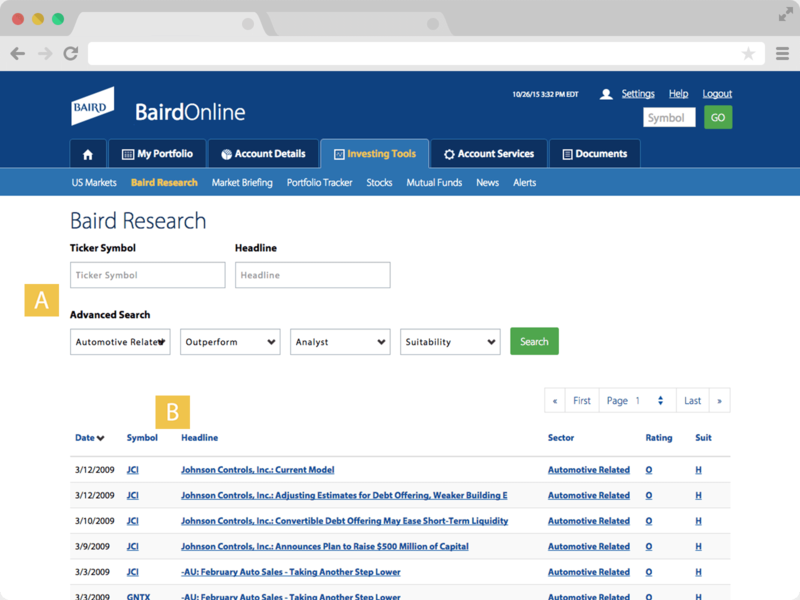 Clients can locate and read Baird's Research reports on Equities and Mutual Funds. 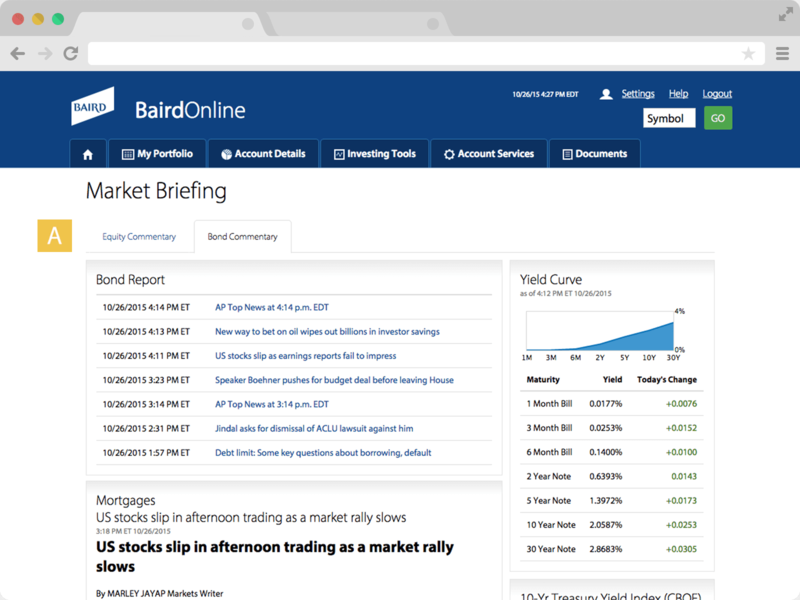 Browse Equity and Bond Commentary news. Equity Commentary | Click image to enlarge. Bond Commentary | Click image to enlarge. 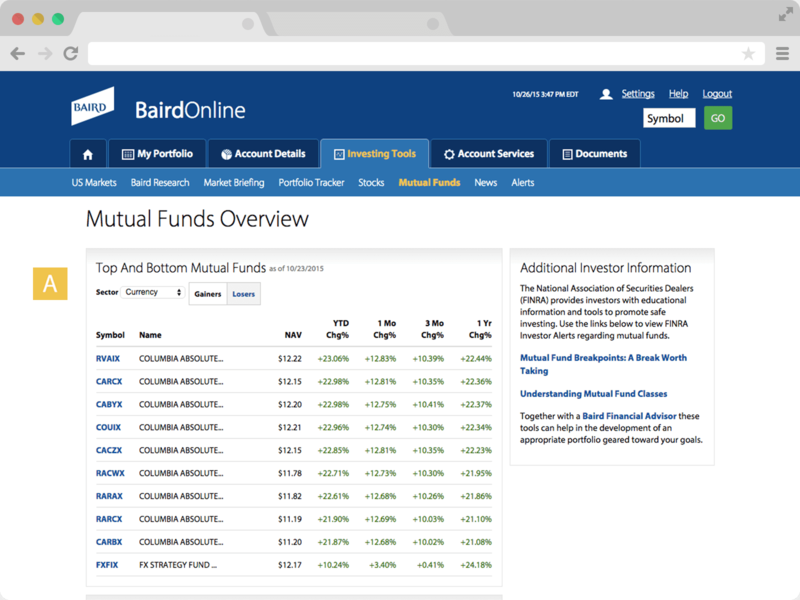 On our Portfolio Tracker page you can easily monitor a hypothetical collection of positions. 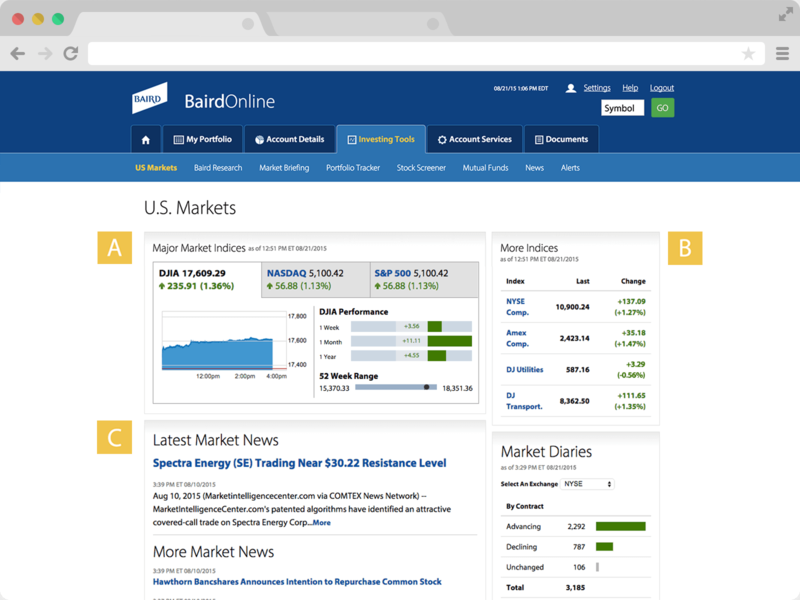 In addition, you’ll have access to market news related to your own customized portfolios. 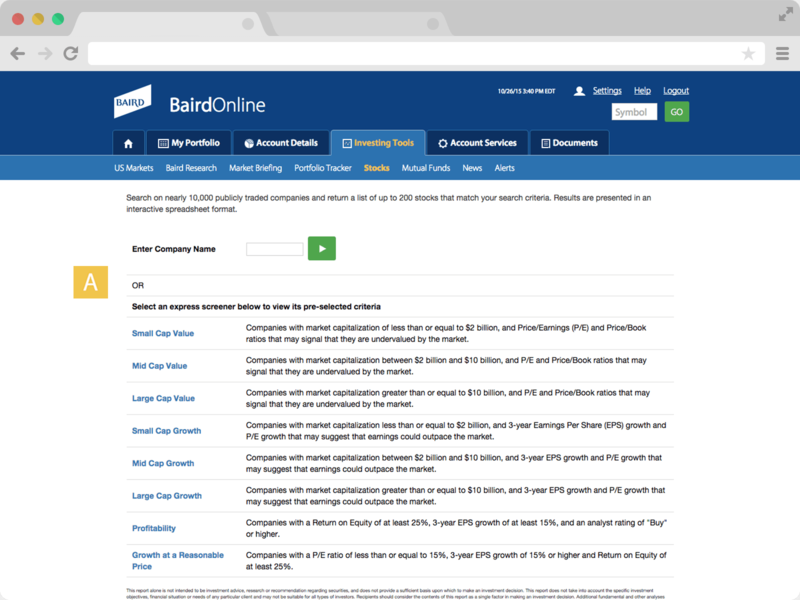 Search on nearly 10,000 publicly traded companies and return a list of up to 200 stocks which match your search criteria. 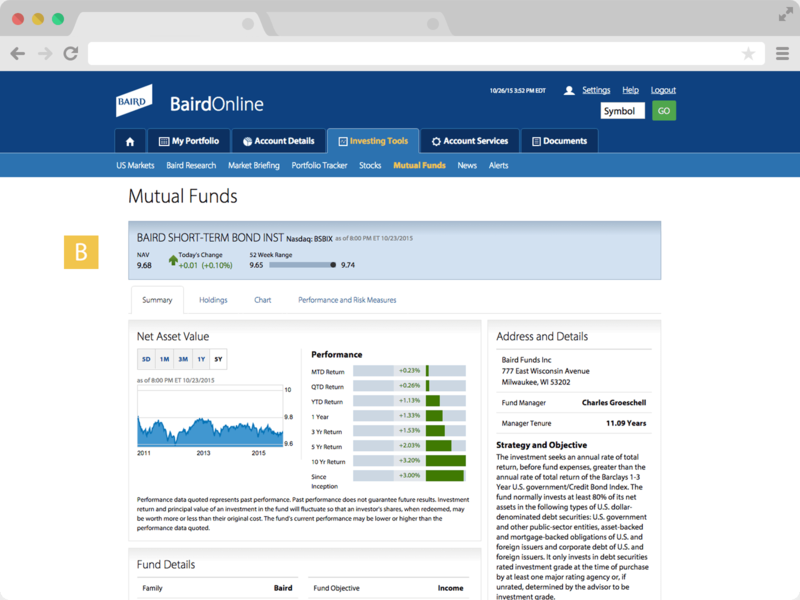 Access a large selection of mutual funds, as well as a variety of pricing options, making it easier to find a mutual fund that meets your needs. 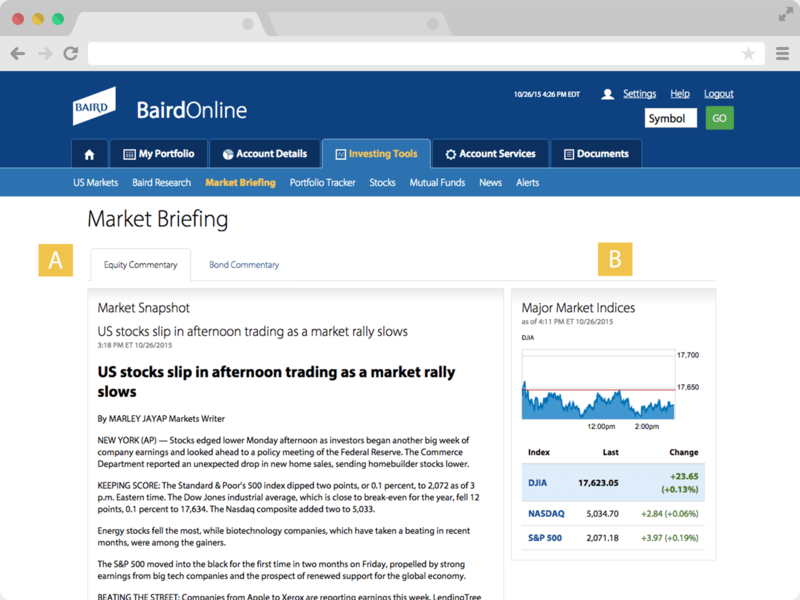 Review the latest market news and business highlights for the day. 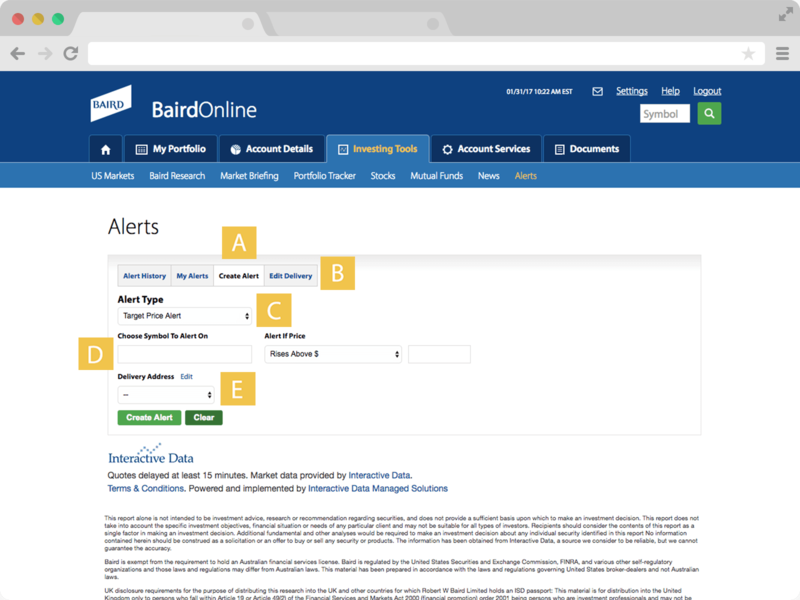 Setting price and volume alerts can keep you informed about the securities you follow.